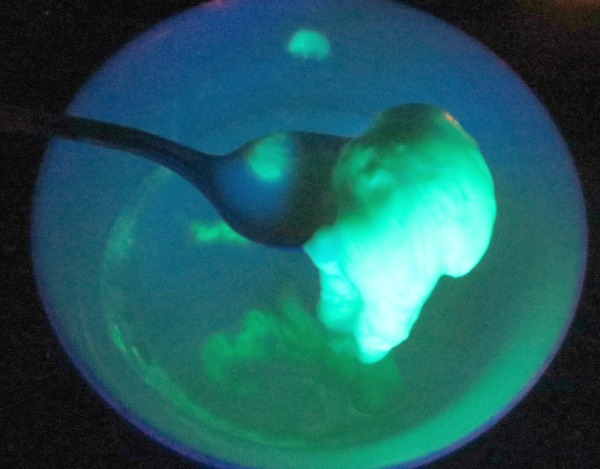 A new very interesting subject reaches our extraordinary site today : play recipes with glowing bounce balls .You will learn how to make play glowing bounce balls for your kids and the children trapped in you alike. The recipe is quite simple, extremely fun to realized and mindbogglingly playful in the end. The diy project is simple and the surfaces on which you can test the new toys can vary a great deal offering you endless posibilitie. 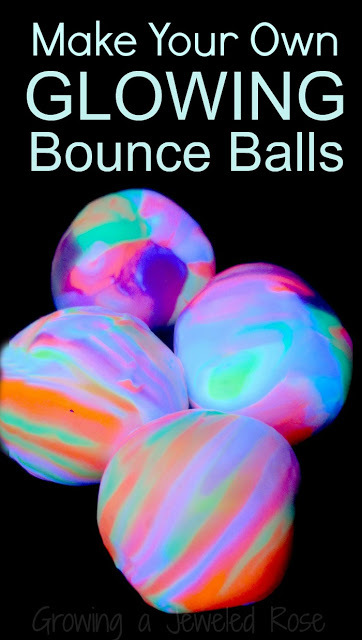 To create the glowing rainbow bounce balls you will create basically 6 separate balls, one in each color. In a small ball mix the ingredients until they all dissolve. Mix properly until all the paint dissolves into the glue. 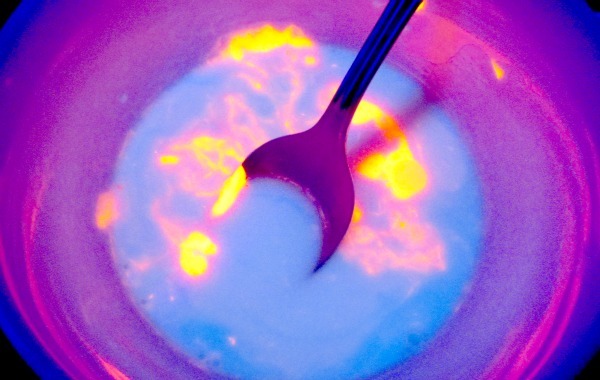 If you are a diy enthusiast and you have glow in the dark glue at you grasp use that and skip the mixing. After you reach the proper state with both bowls you can proceed into combining them. Let the ingredients react to each other for a minute or two before stirring them. In the end a slimy material similar to the one showcased below should form. 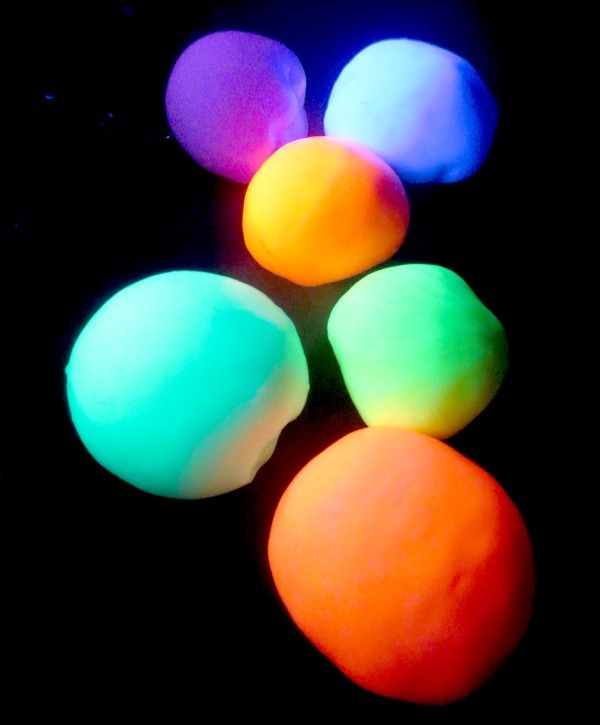 You can now use your hands to make the balls for the ultimate glowing ball. Rolling the material around will cause it to loose sliminess and dry out whilst remaining moldable and playful. After you have a couple of balls of different colors, probably six of them in different colors will do, it`s time to brake each one in 6 parts . 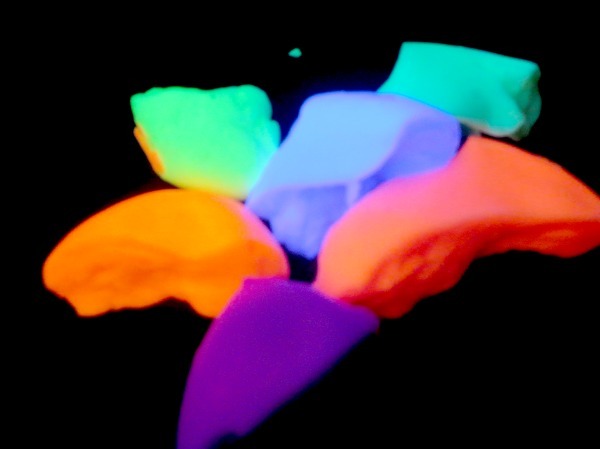 Now you can combine each part 1/6 part with the rest of the 5 five colors, obtaining in the end 6 colorful glowing play balls. Congratulations ! You`ve done it ! Enjoy them and lets us know what do you think in the comment section below. Keep in mind that the balls will lose their shape if they sit untouched in an average temperature. To last longer is recommended to keep them in the refrigerator before the party. Keep in mind that these balls will not bounce as hard as the ones bought in stores, nor they will bounce on every surface. The big adventure is to craft them yourself with your kids. A zip-lock in the fridge containing the materials can enhance their life span. When you need them just get them out and shape them into spheres again. 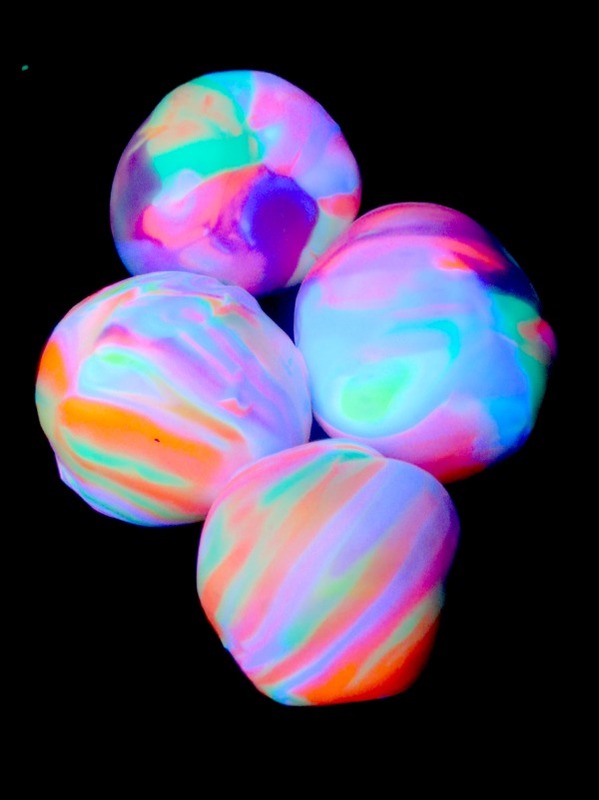 The glowing component makes these spheres fun to play with in multiple manners. 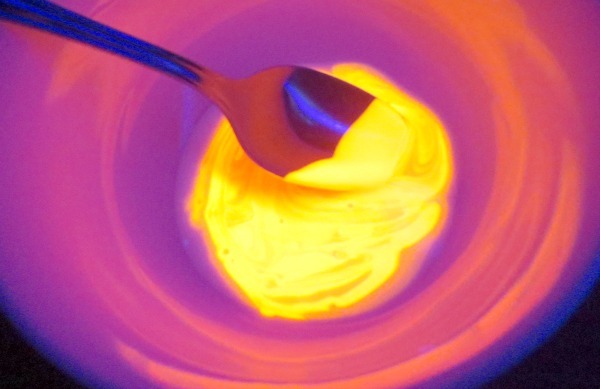 It is very important to know that only adults are supposed to handle borax as this component is not meant for consumption and it should be kept out of the reach of small children that may be tempted to taste at the glance of a colorful candy like apparel. We highly recommend you to determine yourself if this activity is suitable for your little loved one. We would love to hear your opinion on this highly creative craft in the comment section below.